In the 1970’s, James Willis is a young boy who lives with his father and his stern grandmother in a rundown house. He decides early on that he does not want to be poor all his life. He puts his ideas to work and sets about making his dreams come true. My inspiration for this book was a neighborhood boy who used to mow our lawn for us. When he got too many jobs, he hired other kids in the neighborhood to be in his crew. He was an amazing child businessman. Thanks, Dylan! When you wrote the book did you know you were going to offer it as an audio book? No. I only later found out about Audibles. I knew there would be people who’d prefer to listen than to read the story. Since it’s a tale for all ages, even young listeners can enjoy it whether they’ve started reading or not. I chose the reader via auditions. The narrator for this book has the perfect voice. He starts out young and “grows” his voice as the book progresses. I think he did a wonderful job. 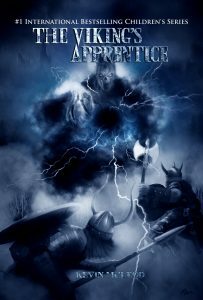 I would recommend they check out the fine voice actors on ACX.com What else would you like to share with readers about your audio book? 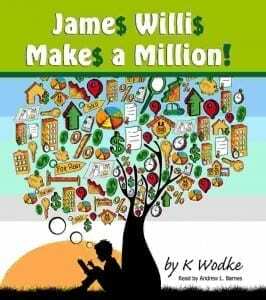 Though James does not have an easy life, he keeps a positive attitude and believes in himself. The narrator brings this inspiring quality to life in his reading.